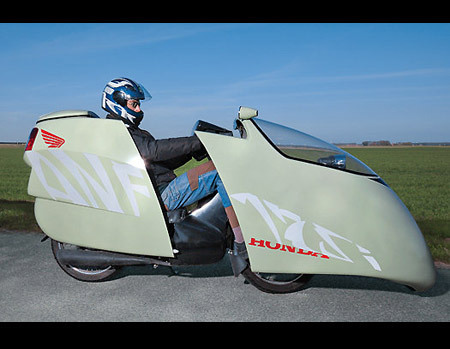 Called the Aerocycle, this custom-built motorcycle by vehicle designer Allert Jacobs took him 3-years to complete at a cost of $5000. Yes, "on one long trip, the bike got 214 miles per gallon." No word yet on if the cycle will go into mass production. 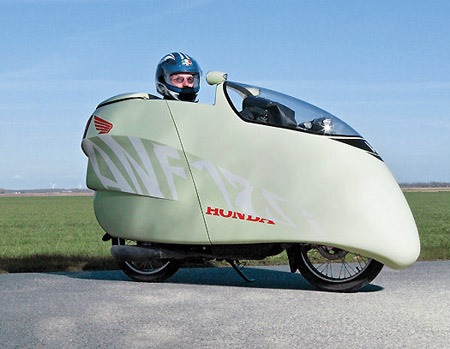 Dutch vehicle designer Allert Jacobs knew that his fuel-sipping, shell-encased motorcycle was street-legal. 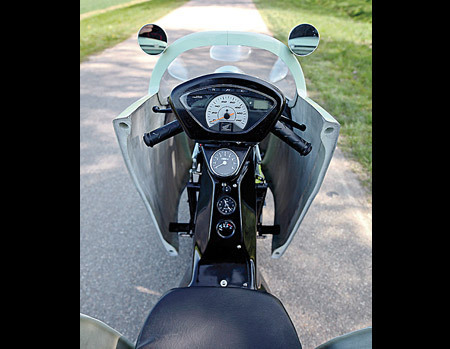 Unfortunately, the police didn't, and impounded it after pulling him over during a test run.